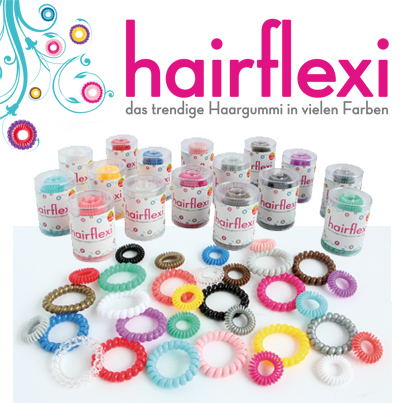 Hair­fle­xi®, the inno­va­ti­ve pro­duct from SILAG Han­del AG. More than 5.5 mil­li­on have alrea­dy been sold in the first year. This tren­dy hair­band is avail­ab­le in two sizes and various colours. Hair­fle­xi® is strong and fle­xi­ble, com­for­ta­ble to wear and does not lea­ve pres­su­re imprints in the hair. Hair­fle­xi® can also be worn as a sty­lish brace­let.